Post Graduate Diploma in Finance is a two-semester Work Integrated Learning Programme designed for working professionals aspiring for rapid career progression in high-growth areas of Finance or the BFSI industry and who wish to stand out in highly competitive workplaces. Admissions to the programme will begin in April 2019. Learners who successfully complete the Post Graduate Diploma in Finance may apply to MBA in Finance offered by BITS Pilani. Students who are accepted to the MBA program will be able to transfer course credits earned during Post Graduate Diploma in Finance. The programme is of two semesters, with online classes conducted mostly on weekends or after-business hours. Both semesters cover four courses each. The Dissertation (Project Work) in the final semester enables students to apply concepts and techniques learnt during the programme. The programme uses a Continuous Evaluation System that assesses the learners over convenient and regular intervals. Such a system provides timely and frequent feedback and helps busy working professionals stay on course with the programme. Choice of Electives is made available to enrolled students at the beginning of each semester. A limited selection of Electives will be offered at the discretion of the Institute. Lectures are conducted live via online classes. These lectures can be attended via the internet using a computer from any location. 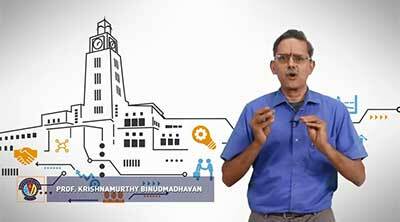 These online classrooms offer similar levels of interactivity as regular classrooms at the BITS Pilani campus. Classes for students admitted during the period November – December 2018 will begin during January 2019. The class schedule is announced within 1 week of completion of the admission process. The online lectures are conducted usually over weekends for a total of 7-8 hours per week. If you miss a lecture, you can also access the recorded lecture on the internet. Minimum eligibility to apply: Employed professionals working in finance and allied business domains, holding a three-year undergraduate degree in relevant disciplines with adequate preparation in mathematics, with at least 60% aggregate marks, minimum one year of work experience in relevant domains. Highly driven and ambitious Finance professionals working as Financial Analysts, Investment Advisors, Securities Brokers, Accountants, and CA. Experienced technical professionals who wish to gain familiarity with financial terminology and gain the financial skills necessary to evolve into successful entrepreneurs. The one-time Application Fee is to be paid at the time of submitting the Application Form through the Online Application Centre. Semester Fee for subsequent semesters will only be payable later, i.e. at the beginning of those respective semesters. Any candidate who desires to discontinue from the programme after confirmation of admission & registration for the courses specified in the admit offer letter will forfeit the total amount of fees paid. All the above fees are non-refundable. Click here to go to the BITS Pilani Online Application Center. Create your login at the Application Center by entering your unique Email ID and create a password of your choice. Once your login has been created, you can anytime access the online Application Center using your email ID and password. Once you have logged in, you will see a screen showing 4 essential steps to be completed to apply for the programme of your choice. Begin by clicking on Step 1 - ‘Fill/ Edit and Submit Application Form’. This will enable you to select the programme of your choice. After you have chosen your programme, you will be asked to fill your details in an online form. You must fill all details and press ‘Submit’ button given at the bottom of the form. Take the next step by clicking on Step 2 - 'Download Application PDF Copy’. This will download a pdf copy of the application form on your computer. Now, click on Step 3 - 'Pay Application Fee’ to pay INR 1,500/- using Netbanking/ Debit Card/ Credit Card. Take a printout of the downloaded Application Form and note down the Application Form Number that appear on the top-right corner of the first page. This Application Form Number should be referred in all future correspondence with BITS Pilani. In the printout of the downloaded Application Form, you will notice on page no. 3 a section called the Employer Consent Form. Complete the Employer Consent Form. This form needs to be signed and stamped by your organisation’s HR or any other authorised signatory of the company. Further on page no. 4 of the printed Application Form is a section called the Mentor Consent Form. The Mentor Consent Form needs to be signed by the Mentor. Click here to know who could be a Mentor. Candidates applying to Work Integrated Learning Programmes must choose a Mentor, who will monitor the academic progress of the candidate, and act as an advisor & coach for successful completion of the programme. Candidates should ideally choose the immediate supervisor or another senior person from the same organisation. In case a suitable mentor is not available in the same organisation, a candidate could approach a senior person in another organisation who has the required qualifications. Wherever the proposed Mentor is not from the same employing organization as that of the candidate, a supporting document giving justification for the same should be provided by the candidate’s employer. Further on page no. 5 of the downloaded Application Form, is a Checklist of Enclosures/ Attachments. Finally, click on Step 4 - 'Upload & Submit All Required Documents’. This will allow you to upload one-by-one the printed Application Form, Mentor Consent Form, Employer Consent Form, and all mandatory supporting documents and complete the application process. Acceptable file formats for uploading these documents are .DOC, .DOCX, .PDF, .ZIP and .JPEG. Upon receipt of your Application Form and all other enclosures, the Admissions Cell will scrutinise them for completeness, accuracy and eligibility. Admission Cell will intimate selected candidates by email within two weeks of submission of application with all supporting documents. The selection status can also be checked by logging in to the Online Application Centre.